You are at:Home»What The World Eats»How Well Do You Know the 5 Mother Sauces? If you’ve ever had French cuisine made in an authentic way, then you know a little something about sauce. You might call it “gravy” or you might just throw in a jar of spaghetti sauce to heat up at home, but sauce and food are just as good of friends as Snoopy and Charlie Brown. When it comes to what the world eats day in and day out, everything comes back around in some way to the 5 mother sauces. With Easter being celebrated the world over and a number of sauces being made for brunch, dinner, or for the local potluck, let’s take a look at the 5 mother sauces of French cooking to see how they influence what you’re eating… and potentially how you define yourself, foodie or otherwise. Made classically with clarified butter and egg yolks, you could go down to the local store and pick up a package of sauce to make for a dollar or two. Or, if you prefer, you could just make your own – but careful, the sauce separates easily! This is especially good if you’re planning on Eggs Benedict for breakfast on Easter morning, but a little of this sauce on some asparagus at dinner is fantastic as well! You’re also going to need to know how to make this sauce to work on some of the secondary sauces, like maltaise, bearnaise, foyot, or mousseline. Even the mayo that you put on your sandwich is based on this mother sauce! Add some lemon, champagne, or pink peppercorns to your sauce for a unique twist. That gravy that goes so well on meatloaf or mashed potatoes? That’s brown sauce in French cooking! It’s traditionally made from veal stock that’s been roasted, but beef stock or even chicken stock can work in a pinch. You’ll also see turkey stock used a lot during the Thanksgiving season! Thyme and parsley are the typical ways to flavor this sauce, but go out on a limb some time and use a little tomato puree [but not the canned stuff]for a little extra texture and flavor. To get a good Demi-Glace or Bordelaise, you’ll need to know how to make this wonderful mother sauce. 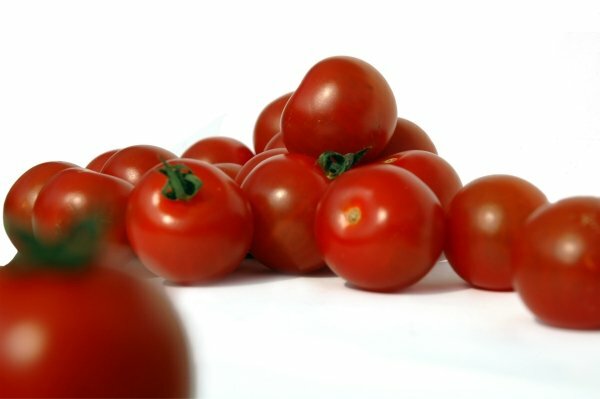 How popular is tomato sauce in the modern diet? From pasta dishes to gnocchi to vegetables, just about everything goes well with this mother sauce! Veal stock or salt pork are classical flavoring methods, but tomato sauce is receptive to a number of different spices and stocks to create some intense, magical flavors! Reducing a tomato sauce in garlic, basil, and oregano with some mushrooms is a great twist on a classic pasta sauce, while grilled vegetables may go well with a sauce flavored with just salt and pepper. Whatever way you go, you just can’t go wrong with a classic tomato sauce! If you need a good sauce for seafood or poultry, then this mother sauce should be at the top of your list. It’s typically made with fish or chicken stock where the bones haven’t already been roasted, making the stock light, yet still flavorful. You’ll then add a roux or a fattening agent to the sauce, usually butter, and a little salt and pepper for flavoring. White wine sauces come from this mother sauce, which also works incredibly well with eggs, steamed vegetables, and even veal. For an interesting twist, you could thicken this sauce with a liaison, or a mixture of egg yolk and cream, for added depth to your final dish. Although other mother sauces may appear white because of the lightness of the stock or the flavoring ingredients that have been used, Béchamel sauce is the only true white sauce in French cuisine. Any sauce variation made with cream, cheese, or similar dairy products works best when this is the mother sauce that is used as a base. Nutmeg, cloves, and onions make for classic flavors, but don’t be afraid to use a little white pepper, bay leaves, or even some garlic as you create this sauce. In return, you’ll have a flavorful sauce, typically thickened with butter and maybe a little flour or starch if needed, that is perfect for poultry and pasta. How often do you use mother sauces in your recipes at home? Which are your favorites? Share your thoughts with us below!